Noodles are OhCha’s specialty. BM provides the ivory white bowls and plates that hold their exotic and flavorful dishes. Their exciting ‘street food’ culture is served to-go in quality take-away containers manufactured by BM. 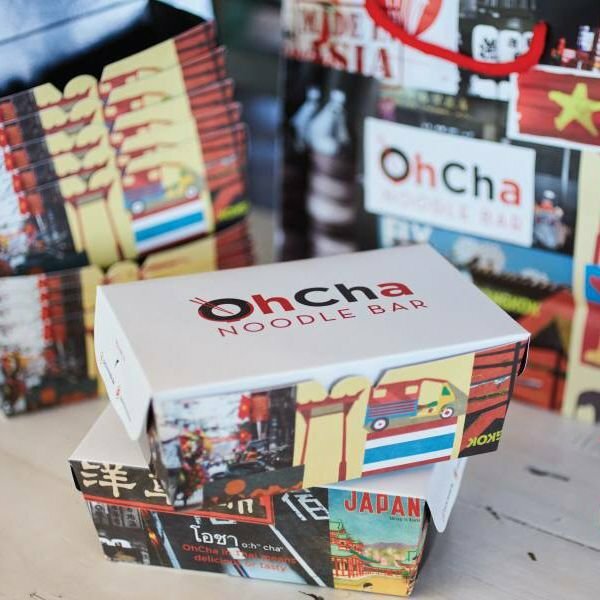 These colorful noodle boxes are printed with different patterns and interesting designs to match the unique style of the OhCha brand.